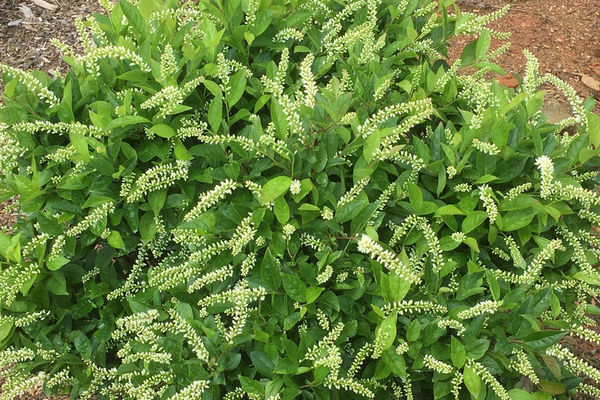 A small form of Virginia Sweetspire, blooming in spring with white racemes radiating out from a rounded plant with bright green foliage. Flowers are slightly fragrant and bloom May – June. We selected this seedling for its compact growth habit and heavy bloom. Of course the fragrance is lovely and in autumn the foliage turns gorgeous shades of burgundy. The small size makes it perfect for smaller gardens and foundation plantings. 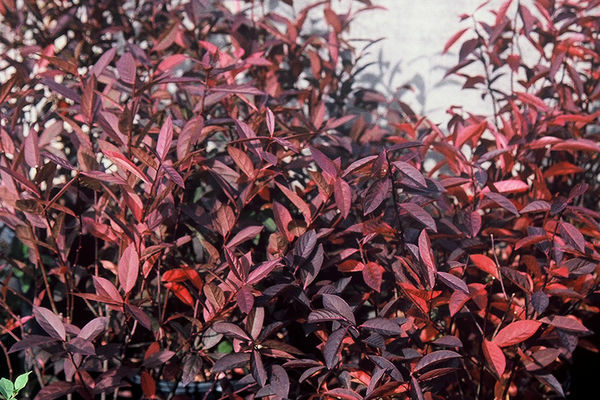 A versatile shrub for sun or shade. Thrives in moist soil but somewhat drought tolerant too. Deer resistant.